This beautiful baby boy photo album with an additional feature of a baby photo frame is the perfect show piece gift to celebrate the birth of a newborn baby. 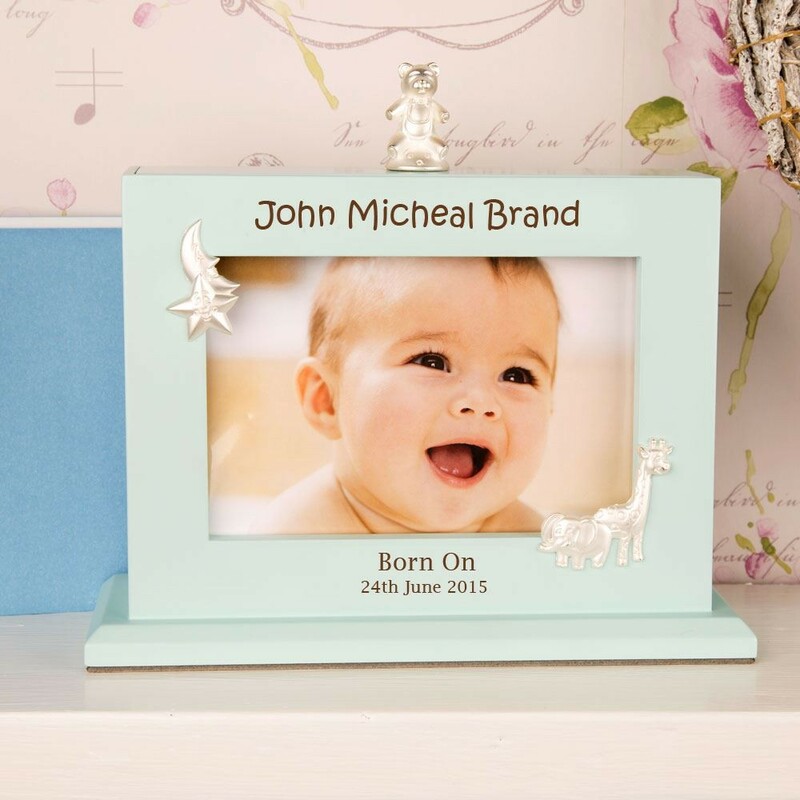 It is personalised in house with your baby's full name and special date and will keep treasured photographs safe in one place to look at in years to come. The photo album is attached to the lid of the frame and can be easily removed by lifting the little teddy handle. This gift would look lovely presented in the living room on a mantle piece or a side table and can even be displayed in the babys room on a book shelf. Dimensions: approx 19cm in width x 15cm in height x 5.5cm in depth. Your engraved photo album has a nice weight at approx 645 grams. This baby photo album holds sixty 6x4 inch photos (15cm x 10cm). 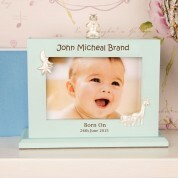 Personalisation details: We will engrave 'Born On' above the date on the photo album.